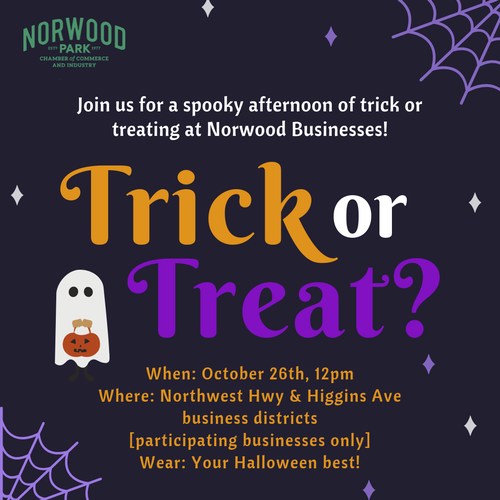 Come out wearing your Halloween best and Trick or Treat at participating businesses along Norwood Park's Business District! Check back here closer to the event for the list of participating businesses! FREE! *Must wear a costume!